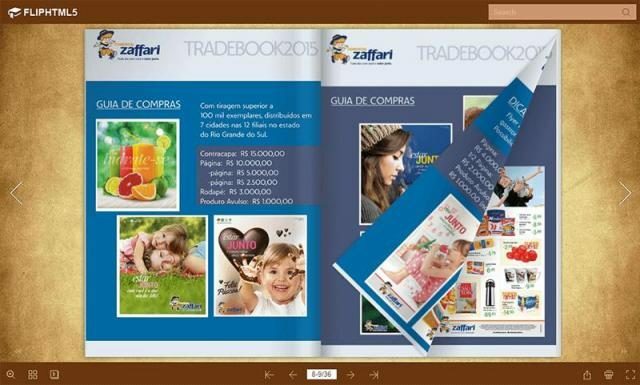 FlipHTML5 is one of those leading software that allows you to convert dull PDFs into a multimedia-based online flipbook. Used chiefly by publishers and marketers, to reach millions of readers, it has helped a lot of publishers to create an engaging magazine or brochure with responsive reading experience. Online PDF documents can be boring and flat if you read them on the PDF viewer of browsers. You may end up having a dull PDF brochure that will not keep your customers interested, or worse, fail miserably to get your point across. FlipHTML5 changes all that with its very unique way of transforming PDF into page flip eBook with interactive reading experience. FlipHTML5 allows you to create full-featured digital publications based on pure jQuery and HTML5 technologies for desktops, websites and mobile devices. Publications can be made by importing PDF documents to the desktop publishing software tool. Additionally, you can set a range of pages that you want to import, enable the table of contents and hyperlinks, choose page flip or slide reading mode, and insert a custom watermark. The template library contains more than 100 templates for different industries. Each template has its own unique design of buttons, windows, and toolbars. You are able to add logo to the toolbar and replace the default background image with the image of your company. In addition, you can download more than 200 online templates from FlipHTML5 online templates library for free. There are many advantages of Flip PDF software, but the one that overshadows all others is the new extremely powerful Animation Editor. This amazing editing tool provides the most comprehensive range of options for creating truly spectacular digital publications. With FlipHTML5 Animation Editor, you can simply add YouTube/Vimeo video, audio, images, photo slideshow, links, text, shapes and button to your publication. Further more, publishers are able to arrange all these elements at timeline, set the entrance and exciting animation, which will make the unique book more engaging and interactive and entertain the readers with more fun. 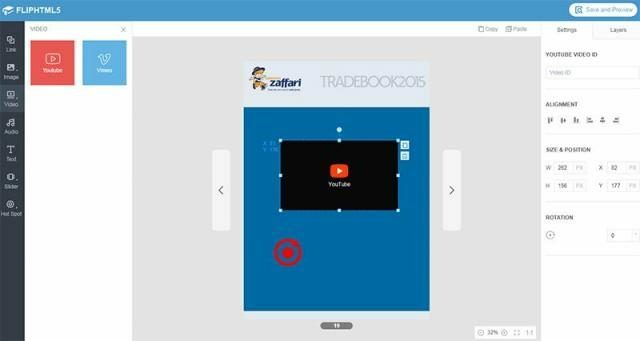 In addition to Animation Editor in FlipHTML5 desktop software, FlipHTML5 has released new Online Editor to help users edit flipbook page online now. 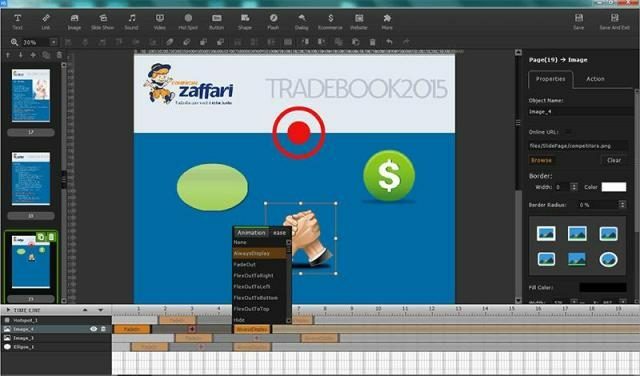 This Online Editor offers most of the functions similar to Animation Editor. After uploading a PDF document to FlipHTML5 cloud, publishers are able to add multimedia (video, link, audio, images) to the books with Online Editor directly, it does not require to install the desktop client. Editing was not all. With FlipHTML5, publishers are encouraged to share the links on popular social networking platforms of Facebook and Twitter. It’s also possible to send your magazine to subscribers via email in your FlipHTML5 dashboard too. This way, publishers are able to reach a wide audience and received the much-needed exposure. 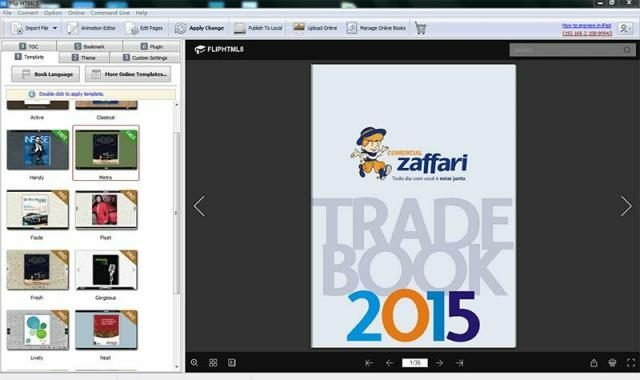 FlipHTML5 is very straightforward and easy to use, even for first-time users. The tool simply doesn’t have a complicated learning curve and allows all user make stunning page flip publications from PDF in a simple way. This leads to customers understanding your points better, whether you are aiming to market your product or brand or distribute digital content online. 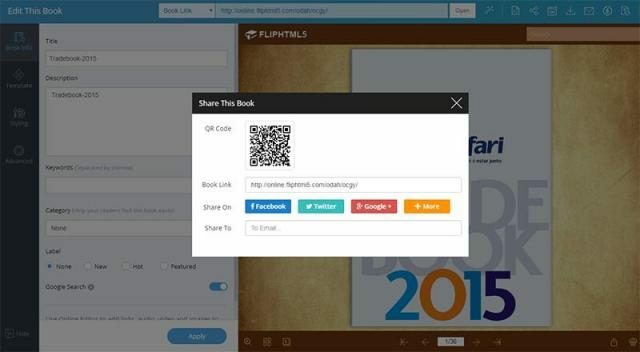 FlipHTML5 is running promotion campaign for new registered users. All TheInfoStride.com readers can get a 3-month Platinum Plan gift card code and use the advanced functions include Animation Editor. The gift card code will expire on February 20, and everyone can get a code here: http://fliphtml5.com/special-offer/3-months-platinum-plan-giveaway-feb-20-18-lwin.php.